The integration of AI and Blockchain technology in analytics tools will help in overcoming the challenges faced by companies in security analytics market. Security analytics is the process of using analytics tools for detecting and monitoring various online threats. Due to the technological advancements and early adoption of advanced analytics tools, North America is said to have the largest share of the advanced security analytics market. The advanced security analytics is mainly deployed using cloud and on premises. The security analytics tools will be used by enterprises to collect data in order to improve detection of threats and also to provide proactive alerts against attempted attacks or incidents. The increase in adoption of cloud technologies, emergence of smartphone and network-connected devices and the growth of advanced analytics are the factors which are driving the growth of the market. The advancement in technologies has led to the emergence of complex and sophisticated threats. As a result, the current analytics tools are unable to recognize the emergence of these sophisticated threats. Organizations are under staffed and they feel that they do not have skilled professionals to handle the challenges related to security operations and analytics. These are the major challenges that hinder the growth of the advanced security analytics market. The increase in number of threats has led many security service related companies as well as startups to come up with advanced security tools for easy detection and monitoring of threats. Uptycs is a US based startup organization which provides osquery-powered security analytics platform. The company has raised a funding of $10 million in Series A. This funding was supported by ForgePoint Capital and Comcast ventures. The company’s security analytics platform will help in storing and transforming the telemetry into reports, which in turn, helps in altering the team regarding intrusion and vulnerabilities. VMware, a subsidiary of Dell technologies has acquired E8 Security in order to secure its digital platform. VMware has built a digital platform named, VMware Workspace One. E8 Security will help VMware in improving their security across digital workspace by using user and behavior analytics, which will help in detecting threats based on anomalies. Hawk Defense is a leading provider of Big Data Security Analytics (BDSA (Refer to Big Data Market). The company’s Hawk.io is industry’s first cloud multi-tenant big data security analytics which will be used by the Pinnacle Property Management as their cloud-based big data security analytics (BDSA) platform.Hawk.io will be providing Pinnacle Property with real time visibility of security incidents across all of their users and applications allowing the IT staff of Pinnacle to focus on true security incidents. Fortinet is a leading provider of automated cyber security solutions. The company has developed a new platform, FortiGuard Artificial Intelligence (AI).FortiGuard AI is a self-evolving threat detection system that uses machine learning and continuous training to autonomously collect, analyze, and classify threats based on their attack levels. Blockchain (Refer: Blockchain Market) will become the core technology for regulated industries, such as banks and laws. Blockchain technology helps in storing the data in a decentralised and distributed manner eliminating the chances of single point of failure. Blockchain technology has the ability to identify whether the data has been manipulated. The advanced security market will have a moderate growth in the coming years. The need to secure data and devices will be the driving factor for the growth of this market. The integration of AI and Blockchain technology in analytics tools will help in overcoming the challenge of detecting complex threats, thus predicting a moderate growth. Q. 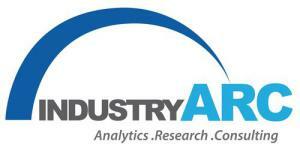 Does IndustryARC publish country, or application based reports in Advanced Security Analytics Market? 1. Increase the level of data in application or end user industry. 2. Increase the number of countries in geography or product chapter. 3. Find out market shares for other smaller companies or companies which are of interest to you. 4. Company profiles can be requested based on your interest. 5. Patent analysis, pricing, product analysis, product benchmarking, value and supply chain analysis can be requested for a country or end use segment.